The CT-30 Cleaver sets the standard for portability, reliability and ease of use. 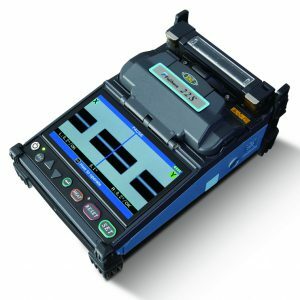 Available for either single fiber or ribbon splicing (up to 12 fiber ribbons) applications, the CT-30 Cleavers are compatible with all AFL Telecommunications fusion splicers. The improved version offers a larger base for a more stable platform, improved visibility when placing the fiber, and three scrap collection options. 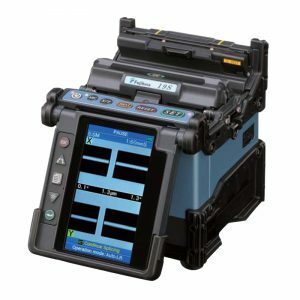 Designed for excellent portability, the CT-30 is equally at home in a splicing van or in a bucket truck and is ideal for FTTx applications. The 16-position blade yields 48,000 single-fiber cleaves, or 4,000 12-fiber ribbon cleaves before requiring replacement, and the built-in scrap collector conveniently stores fiber shards until they can be safely discarded. The CT-30 Cleaver is packaged with three scrap collection options that allow the user to tailor it to their cleaving preferences. The CT30 is delivered with the SC-01 Side Cover installed for users that prefer not to use an automated scrap collection system. For those that prefer an automated scrap collection system, the FC-02 Fiber Collector and two scrap box options are included. The FDB-02 Scrap Box is a smaller bin for users seeking a compact profile. The FDB-03 Scrap Box is a larger bin with sweeping brush and static resistant surfaces for those users seeking to maximize scrap capacity. All scrap options are easily configured by the user. 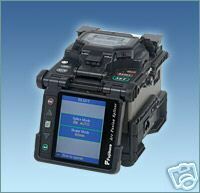 THE CT-30A IS ALSO AVAILABLE FOR SINGLE FIBERS: 250-900 uM COATING, 125 uM CLADDING. IT INCLUDES THE AD-30A ADAPTER PLATE. THE CLEAVE LENGTH IS; 900uM: 10-20mm, 250uM: 6-20uM. Ask about our Rent and Lease to Own plans. We take trade-ins. International Experts: On parle français. Se habla español. Payment Methods: Corporate Purchase Orders Accepted. Paypal along with American Express, Visa, MasterCard, Company Checks, Cashier’s Checks, Money Orders, COD Company Check and bank instruments. Taxes: Tax will be charged for Massachusetts shipments, unless a Tax Exemption Certificate is given. On international shipments, duties and taxes are the Customer’s responsibility and are paid directly by the Customer. Shipping: We Ship Worldwide!! Tamge’s distribution team is committed to ensuring that our customers receive the products they need when they need them. We can ship to US, Canadian, and select UK destinations overnight and most other worldwide locations within 24-48 hours. Our high-quality, new, refurbished and used networking equipment is carefully packaged to meet TAMGE higher standards and is shipped via FedEx, UPS, DHL, BAX Global, or a customer-designated carrier. Shipping charges are dependent on product weight and destination. For more information on shipping cost please email us. International Shipping: Certified Global Business Professional; We work with all Freight Forwarders and have extensive experience in export documentation and processes to facilitate global commerce. As a Certified Global Business Professional (CGBP) we get it right the first time, avoiding costly delays in customs clearance and delivery transit. Products sold internationally may be exported from the United States only in accordance with Export Administration Regulations. Diversion contrary to United States law is prohibited and Customer agrees to waive any claims against Tamge for damages or costs and to further indemnify and defend Tamge for any damages, claims or costs related in any way to Customer’s improper diversion. Duties and taxes are the Customer’s responsibility and are paid directly by the Customer.